A new study reveals the truth about DHA and ARA in formula! Because I have been receiving many questions about this issue I thought I would send a short note about the report and some of our next steps. As many of you know, the National Alliance for Breastfeeding Advocacy (NABA) contributed to a report written by The Cornucopia Institute on the novel oils DHA and ARA in infant formula. 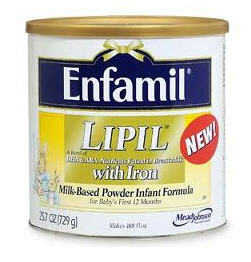 These oils appear to be marketing tools to tell mothers that formula is now as close as ever to breast milk. These lab-produced, hexane-extracted algal and fungal oils have been linked to diarrhea, vomiting and other adverse reactions in some infants, but the formula companies are not sharing the possibility of side effects with parents. 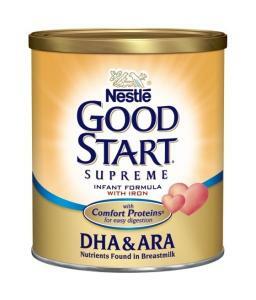 We know of infants who suffered through months of diarrhea because their parents did not know that a simple switch to non-DHA/ARA formula would, in many cases, relieve symptoms within a day. On this webpage, you will also notice an Action Alert. NABA and The Cornucopia Institute have jointly filed a petition with the FDA to require a warning label on infant formula containing these novel oils. We believe that parents have the right to know that these oils may be the cause of their infants diarrhea or other gastrointestinal problems. We need to persuade the FDA to take action on this important issue! Please take a minute to look at the action alert and craft a short email or letter to the FDA commissioner. We have also petitioned the Federal Trade Commission to investigate misleading advertising claims by infant formula manufacturers. Also, we are interested in hearing from parents whose infants suffered health problems potentially related to DHA/ARA oils in infant formula. All names will be held in strict confidence. We would like to share their stories with government regulators, infant formula companies, and the public. Showing that these adverse reactions are real, impacting real babies and real families, will hopefully go a long way in convincing lawmakers and corporate executives to take action and protect these vulnerable infants. We need your help in finding infants and their parents, and inviting them to share their stories. If you know anyone who has been impacted, please ask them to email their story, in confidence, to The Cornucopia Institute, at cultivate@cornucopia.org. Making the choice to use infant formula in place of human breastmilk is not a choice to be made lightly. It should be made with great consideration, and weighing risks vs benefits. 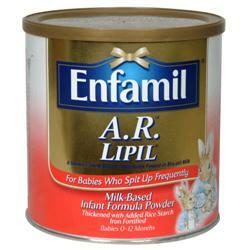 Formula is not, nor will it ever be "even closer to breastmilk!" Breastmilk is a living substance, with thousands of living cells, to help protect your baby! It's constantly changing. It's perfectly balanced nutrition every time! Please get help before deciding to stop breastfeeding your baby, your health, and your baby's health, is worth it!